Our large-format irregular patterned flagging has the beauty, strength and economy to create high-end patios in a fraction of the time. 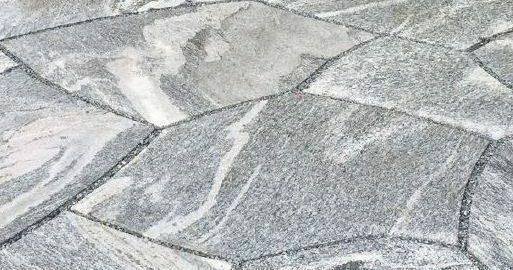 Each piece is cut from solid granite forming a 7-piece repeating pattern. This item is stock in Silver Ridge and Blue Mist granite.